I recently read something that I felt was interesting. Years ago I used to put coffee grinds around the base of my azaleas and rhododendrons to add acid to the soil, making sure it stayed at less than 1/2" to avoid any mold. But, did you know, you could also use them in your garden? 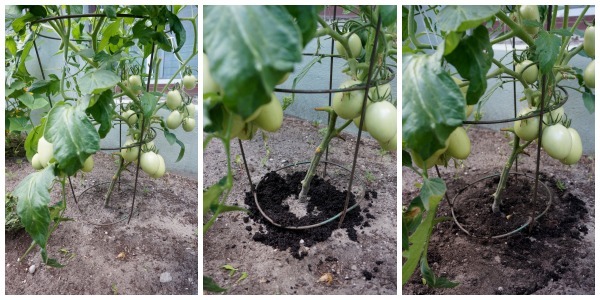 Work them into the soil of your tomatoes and corn. Sprinkle them around the soil of your lettuce, beets, beans, broccoli and peas to deter rabbits and squirrels. On Seedlings.....put coffee grounds into the water you use, it can give them a nice boost of nitrogen. Pests........mound coffee grounds a couple inches high around an afflicted plant to naturally deter slugs and ants. 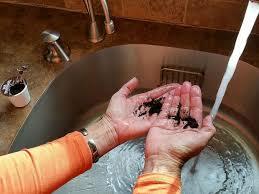 Cleaning your hands from garden work..........used coffee grinds make a great deep clean. They exfoliate and remove smells as well. Thank you for this educational post about coffee grounds. I knew they could be used in a compost pile but never realized there were so many other uses in the garden. Thank you.